From slow-cooked pork shoulder to pork boudin balls, it's time to add these delicious porcine recipes to your repertoire. You’ve got your weeknight chicken dinners down and can grill a damn good steak—but what about those moments when you need a little pig in your life? Pork is a delicious and versatile protein that’s easy to incorporate into your routine. 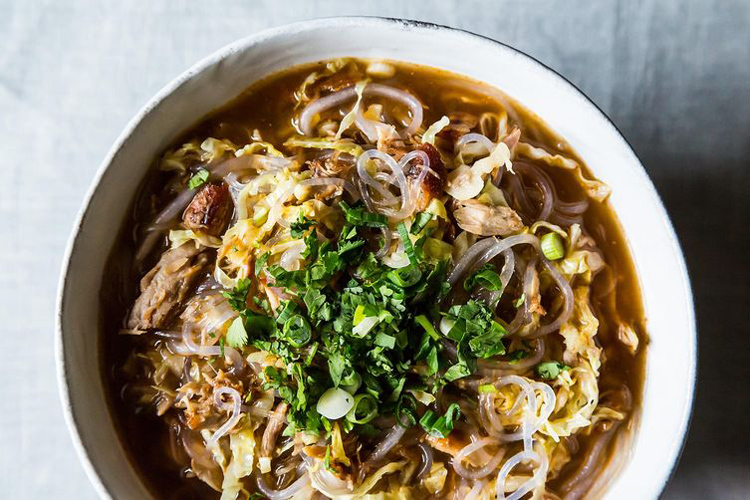 From crazy good slow-cooked pork shoulder to spicy soups and hearty sandwiches, here are 10 recipes that will satisfy your most intense pork cravings. Caramelized Pork Bánh Mì. The caramelized pork could be a recipe all its own, but we sure do like it in this sandwich, as well. 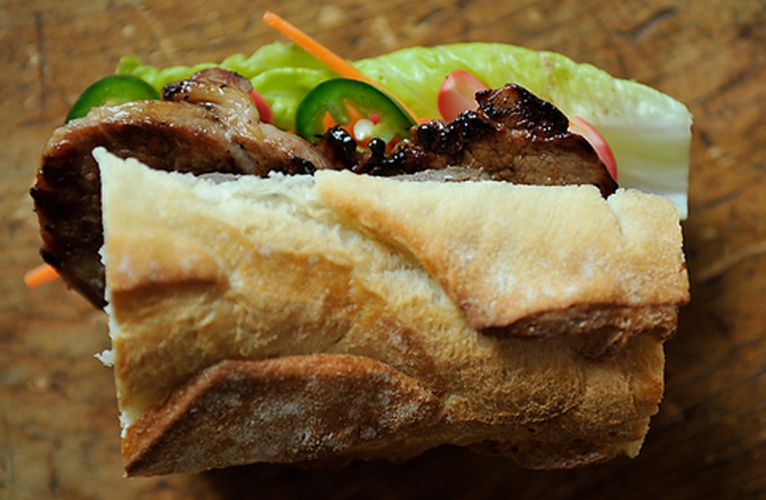 Bánh mì are often made with a rich and fatty grilled pork—this seasoned pork tenderloin gives the sandwich character. Make sure you use a light airy roll with a crisp crust—bánh mì is all about the interior. Get the recipe. Matilda, Maple, and Garlic Pork Shoulder with Crispy Skin. 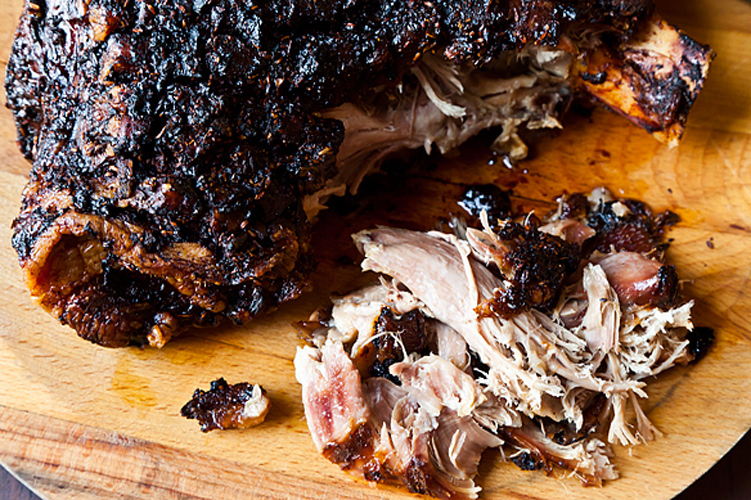 A tender pork shoulder that is the definition of "slow and low"—it cooks for 18 hours! Whether you love crispy skin or falling-apart meat, this showstopper has something for everybody. Get the recipe. 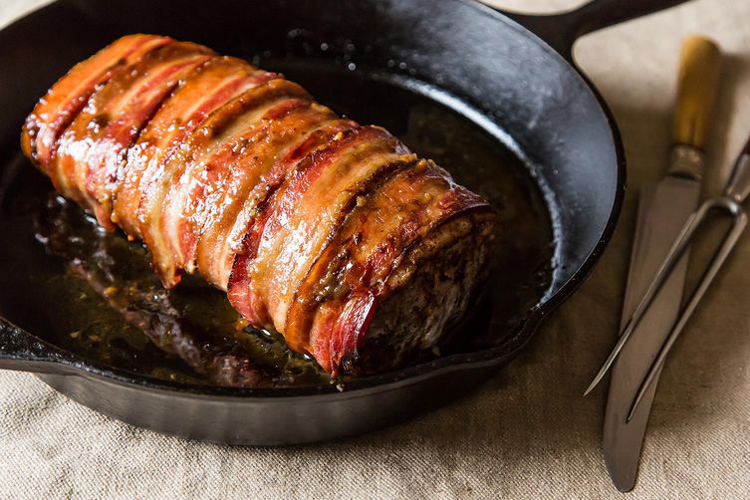 Bacon Wrapped Brown Sugar Pork Loin. Pork wrapped in bacon. Enough said. Get the recipe. Sunday Pork Ragu. 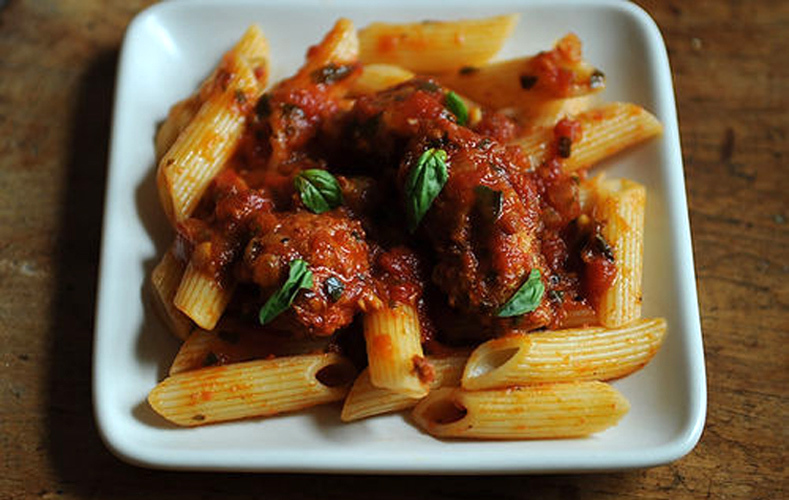 An old-school ragu that you’ll want to add to any and all pastas, immediately. Get the recipe. 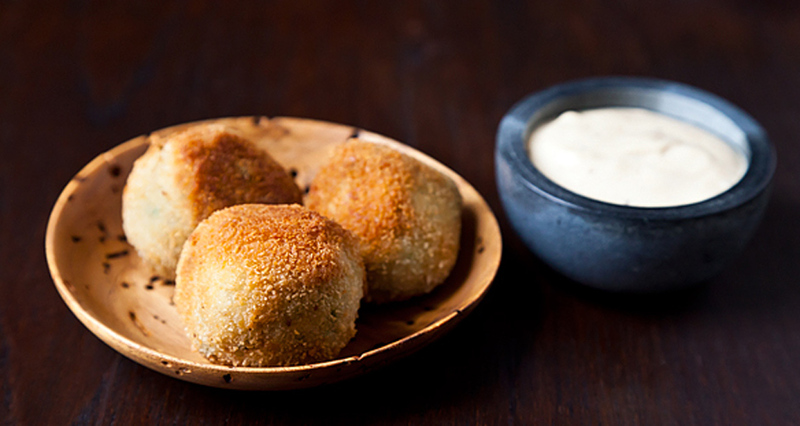 Pork Boudin Balls. Simple to make and entirely flavorful, these are great for entertaining—or for a personal snack. Get the recipe. 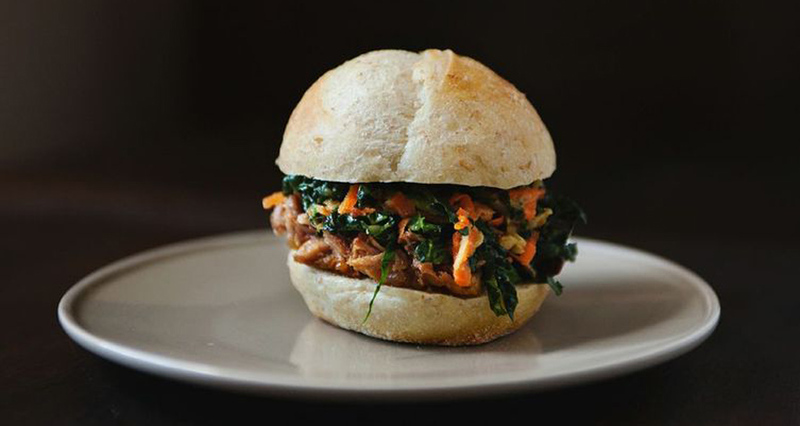 Chinese Pulled Pork Sandwiches with Kale and Apple Slaw. A just-messy-enough pulled pork sandwich and bonus kale and apple slaw. The pork is beautifully spiced and fall-apart tender in less braising time than you'd think. Get the recipe. Herb-Crusted Pork Chops with Balsamic Onions. 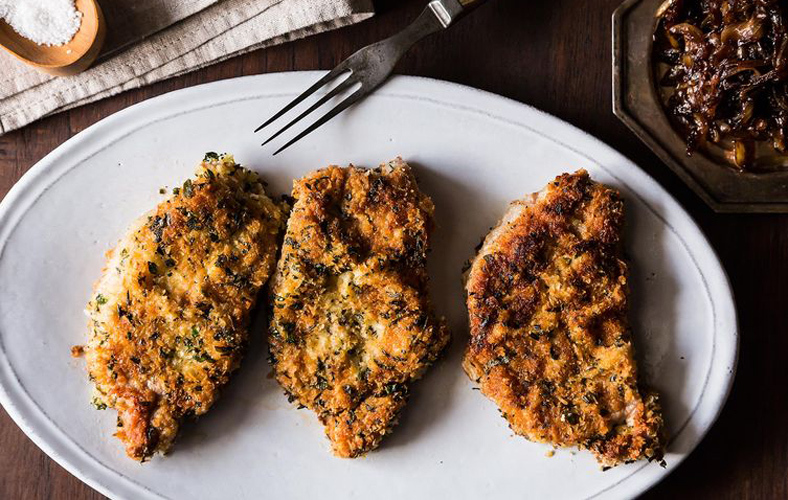 The perfect weeknight dinner, this recipe comes together in minutes. It's got crunch and salt and porkiness and tartness: everything we want at the end of the day. Get the recipe. 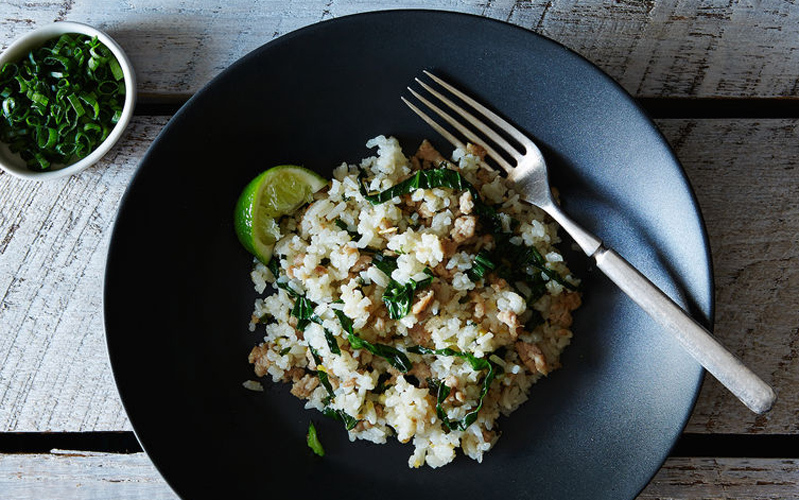 Scallion and Coconut Rice with Pork. A rich, fragrant meal that’s just the right combination of sweet and salty—like risotto, but better. Get the recipe. Spicy Sesame Pork Soup with Noodles. Making this soup is a long process, but you won't regret it. The smoky, spicy, long-simmered result is a worthy reward. Get the recipe. 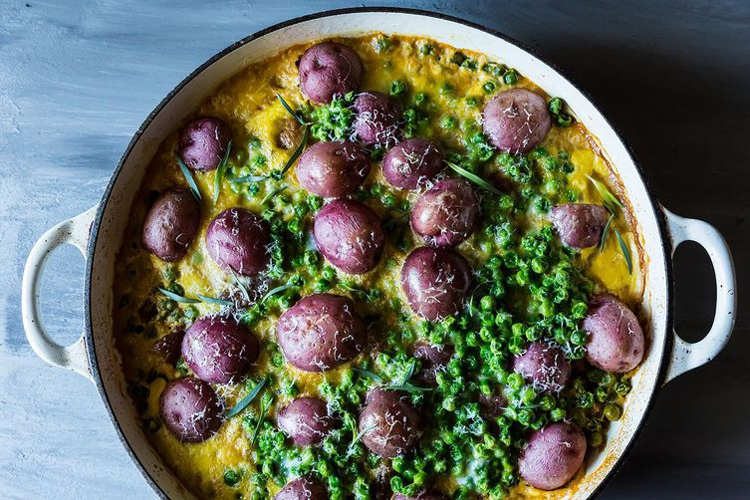 A Spring Celebration: Braised Pork Shoulder with Peas and Eggs. Here’s a meal that uses the most of springtime vegetables while staying hearty enough to feed a crowd. Get the recipe.